This year's Hamvention was the first time I spoke at a forum as a woman. When I attended Hamvention in the past as a male (before 2010), I moderated and spoke at a number of forums. But since I have been attending as a woman, I have not presented because I was not ready to take that step in my coming out process. 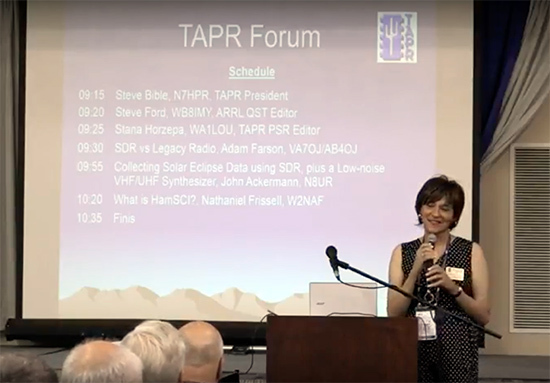 This year, I was ready and gave a short presentation at my group's forum, the TAPR Forum, to encourage people to submit content for my group's quarterly publication, which I edit. I think my presentation went well. No one hooted or threw rotten tomatoes and a couple of people even complimented me. I looked forward to seeing this video because I have never seen my female self "live" and I wanted to see for myself if I had feminine mannerisms. 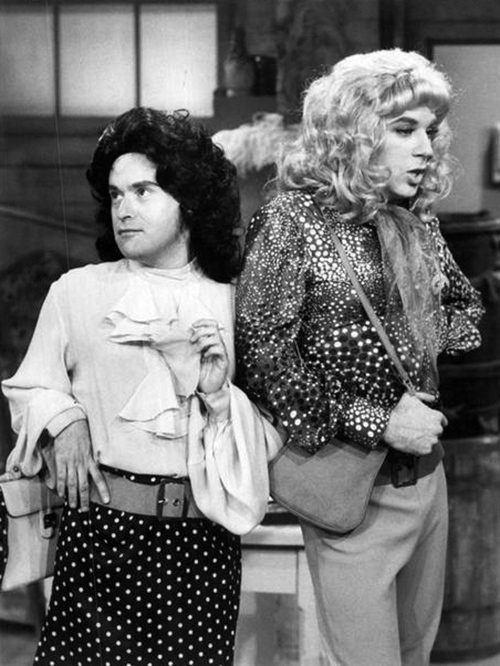 All my life, I have been accused of being feminine. The way I walked, talked and moved were decidedly girly according to the social norms police. I was not trying to act girly, I was just acting in a way that came naturally to me. Furthermore, I was happy with the way I acted and I was not about to change or "man up." Anyway, after viewing the video, I have to admit that the social norms police were correct. I must say that you looked very relaxed and at ease in your own skin which is wonderful. We are our own worst enemies here and always fuss about every little thing whereas the public just wants to see a genuine person which I think you offered here very well. I am glad you felt comfortable enough to do this and now have one more notch in your belt of things you have done as Stana. Congratulations. Wonderful presentation, Sweetie! You looked very comfortable and confident - every inch a Lady! Thanks for taking this step and also for sharing it with us, I pray it will inspire more to step out. Nice video Stana. You have fooled all. No male markers were exhibited and a very normal woman conversational tone was presented. Your voice was a woman's on more of the tenor side, but still a woman's. 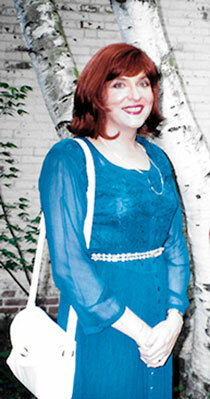 It took much courage to present as a woman... and a feminine at that. But I was somewhat shocked at the sound of your male voice. If you could practice a more feminine voice, voila! You are there! 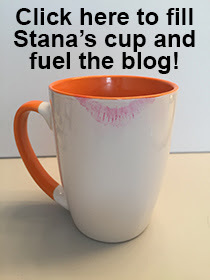 Stana, how do I send/communicate with you by e-mail? Just click on the "send me e-mail" link in the right column of the blog. Stana, how do I communicate/send e-mail with you? Stana, that just does not work. I must say, after viewing the video it's amazing how just being you I see now how when you tell us of your adventures about fitting in and being accepted. It's one thing to read about it, and then see you in the video it brings everything in to focus! Hi Stana! I watched your presentation on youtube and thought you are a natural :) I've never been a ham (back in the day, couldn't copy ditty bop) but am a LMR mobile radio, M/W, Mux, PBX, and dispatch console technician by trade. I've been following your blog a long time and look forward to it everyday. I always think we have something in common. I've sent you 3 pics over the years for the "favorite pic" spot. I have a new favorite if you are still displaying them. Hugs Allison!! It's interesting that you pass as a woman in spite of having a speaking pitch of a person who would be a baritone. I think it is the accent. You are a completely natural and lovely lady! Yes, your mannerisms are absolutely to die for! Stana, you definately have natural feminine mannerisms that come out in the video. You were 5 nine plus 60db and owned the moment. I hope this gives you the increased confidence that you are the woman that you are and can enjoy life as a woman without hesitation. You have shown us how the thought of coming out is terrifying and even more so where some may know your past but Many people have no idea and just see a vibrant woman on stage as the tapper secretary. Compliments are in order. You looked just fabulous. How about blogging as how you felt being a wonderful "booth babe" ?